The results of the latest McNair Ingenuity Research report are in. Having explored the analysis, Lise Taylor says the news is all about fundraising donor awareness. The annual, nationwide 2016 Survey of Public Awareness and Support from McNair Ingenuity Research has recently been released. 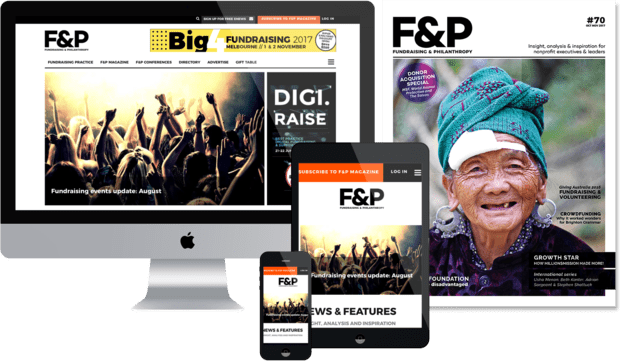 With a representative sample of 3,524 adults interviewed about their awareness of and donations to the 50 plus charities and aid organisations that participated in the survey, the results deliver an absorbing update on the current state of play for fundraising donor awareness in Australia. F&P spoke with Angela Brooks, a Senior Consultant at McNair Ingenuity Research, about the report’s key findings. What the latest results reveal is that fewer people are donating to major charities but the average size of the donation has increased in the last year and is the highest in five years. In addition, there was a drop in charity brand awareness and perceived giving levels between 2014 and 2016. As markets become more competitive, Brooks suggests it is important to understand exactly who the charity’s key donor is likely to be and to have a clear and targeted message. For unprompted awareness, via which participants name the charities they can remember ‘off the top of their heads’, the results showed that the top 10 charities all had reduced unprompted awareness. Similarly, with prompted awareness, which describes those respondents who name charities from a full list provided, the results show a downward trend for the vast majority of charities from 2014 to 2016. In fact, 24 out of 56 surveyed charities saw decreases in overall awareness. However, all but one were decreases of less than 2%. Over the past two years, from 2014 to 2016, 41% of adults say they have not been approached by any of the charities listed in the survey. Respondents who did think they had been approached came in at 25% for the Red Cross, 23% for the Salvation Army, 18% for the Cancer Council and 15% for Guide Dogs Australia. Conversion approaches included letter, circular letter, letterbox drop, door knock, phone, email and so on. As could be expected from the charity awareness results above, the results here were down again on the last two years. Again, and this time in relation to donations, the big name charities receiving support over the last two years include the Salvation Army at 24%, the Red Cross at 21% and the Cancer Council at 20%. The number of respondents who did not donate to any of the listed charities was 37%, which compares to 35% in 2015 and 31% in 2014. The average amount donated in 2016 was $463 while in 2015 it was $393 and in 2014 it was $460. In addition, 38% said they had given less than $200 (it was 40% in 2015) and 36% gave more than $200 (the same as in 2015). The news from this result is that it is worthwhile for charities to target higher-value donors. When it came to contacts or approaches being converted into donations, on average around four in every 10 people donated during 2014 to 2015, with this average remaining the same for the period from 2015 to 2016. Those charities that did best in this segment included Caritas at 66%, the Salvation Army at 57%, the Cancer Council at 56% and the Red Cross at 50%. As per the 2015 survey results, there are five main charities that people donate to: the Red Cross, Salvation Army, Cancer Council, Heart Foundation and St Vincent de Paul Society. These can also, again, be seen as the charities that all other charities compete with and that also compete with each other. And why do they do well? Because they are all large and well established. The participants who give to an above average number of the listed charities are women, the over 55s and people who are not working. It is the 25-to-39-year-olds, those who work in a professional/executive role or sales/clerical role and those earning over $60,000 a year who give to a below average number of charities. If there is anything that charities and aid organisations can take away from this year’s results for the next 12 months, it is, says Brooks, first and foremost awareness. “The results clearly demonstrate that the number of donors positively correlates with unprompted awareness. Unprompted awareness is best thought of as top of mind awareness when thinking about charities. Most people are likely to donate to the charities they know best. 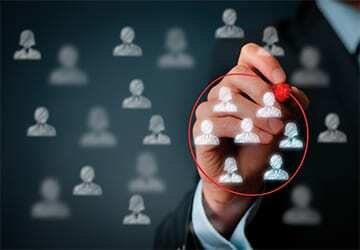 • targeted approaches such as face-to-face in the street or door knocking, direct mail or email campaigns.